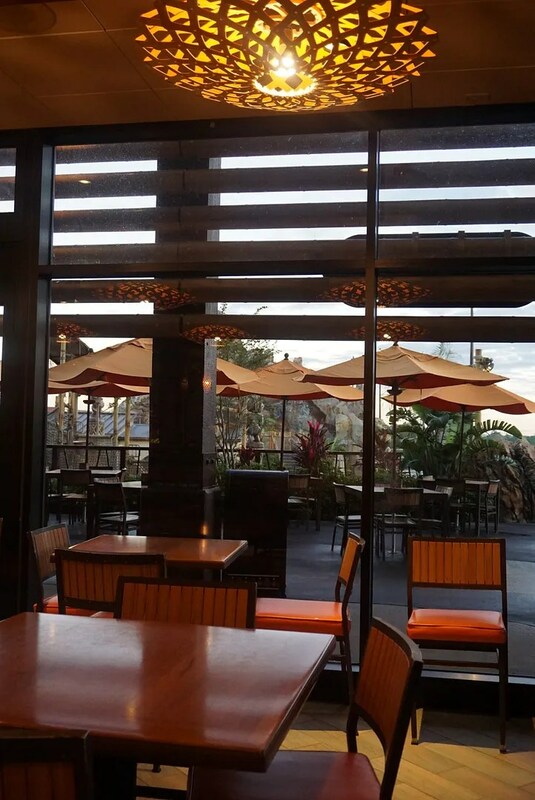 My third and final visit to Captain Cook’s during my 5 night stay at the Polynesian in Oct./Nov. 2017 was for breakfast. It was early so pretty quiet, which made for a peaceful breakfast. 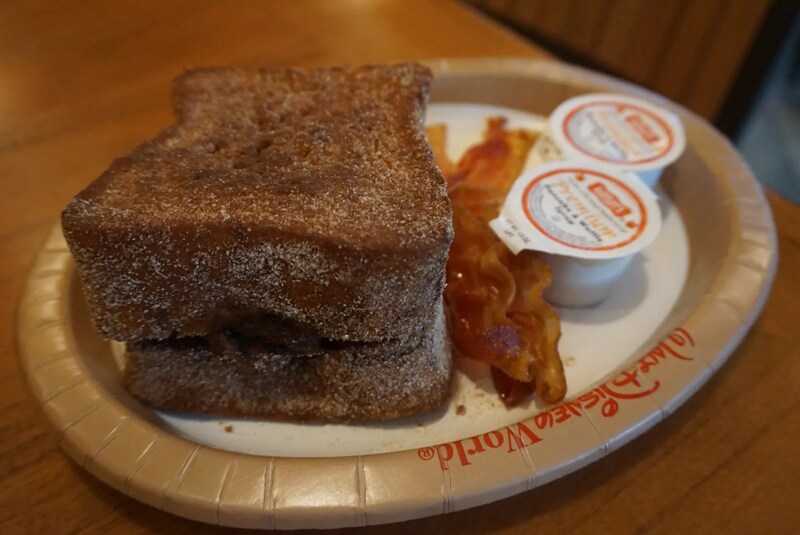 While the price of Kona Cafe’s famous Tonga Toast was $15 at that time (now priced at $16), the same Tonga Toast (minus the strawberry compote) could be had at Captain Cook’s for just $8.49 (currently no price increase). 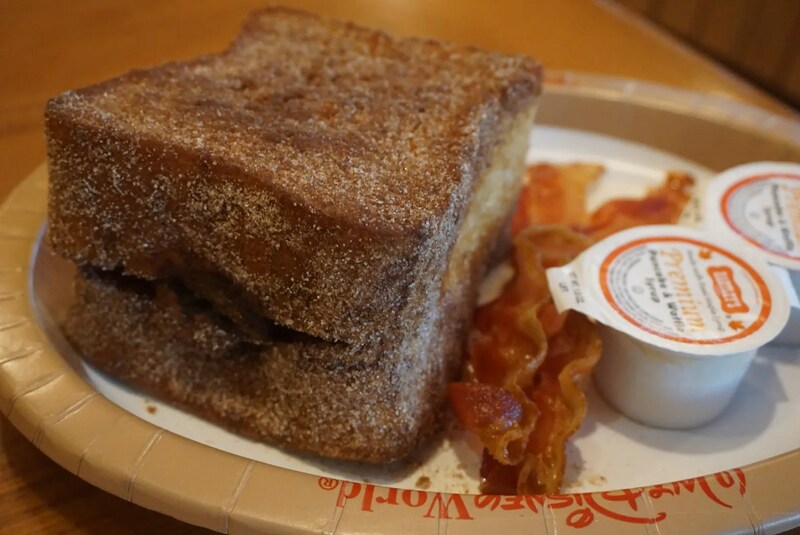 So for those fans of this sweet, bready breakfast entrée, it’s a much better deal if you get it from the Polynesian’s quick service restaurant rather than their full service restaurant…assuming you can do without the compote. As for me, I was glad that I tried it again after all these years but it’s just not my thing. 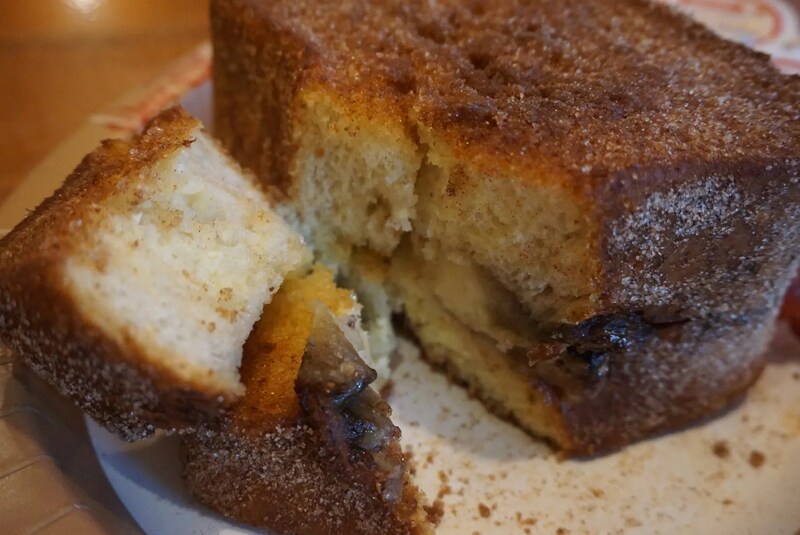 I’m still a fan of Kona’s macadamia-pineapple cakes though. Wish I could get them at Captain Cook’s for less than their Kona price of $14. So that just leaves the ratings. 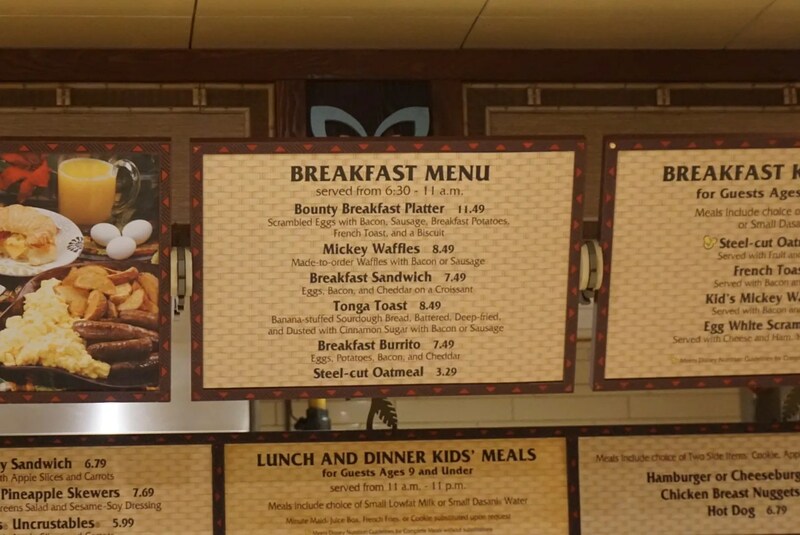 Taking into account all three of my visits (Pulled Pork Nachos, Hawaiian Flatbread, and Tonga Toast), I would rate Captain Cook’s 4 stars. The same rating was given to it by the reviewers at Trip Advisor but Yelp reviewers gave it only 3 1/2 stars. 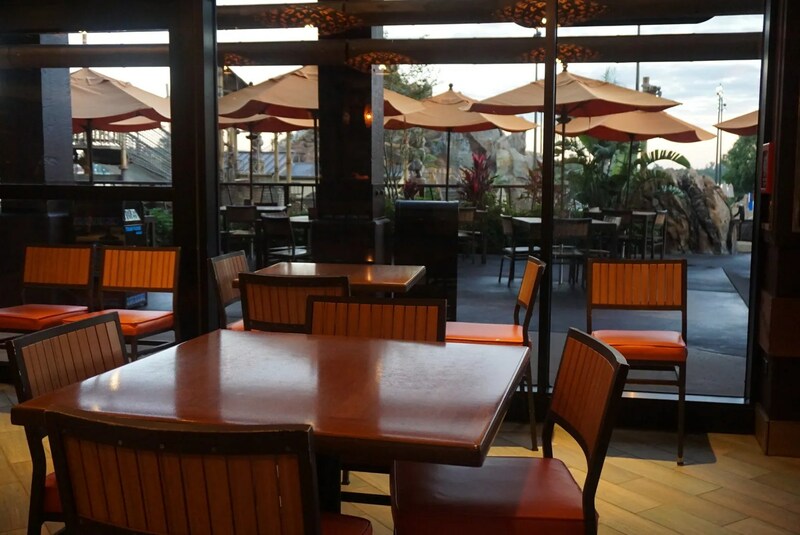 As for the rankings, on Trip Advisor Captain Cook’s ranked #447 of the nearly 3,000 Orlando area restaurants reviewed there. 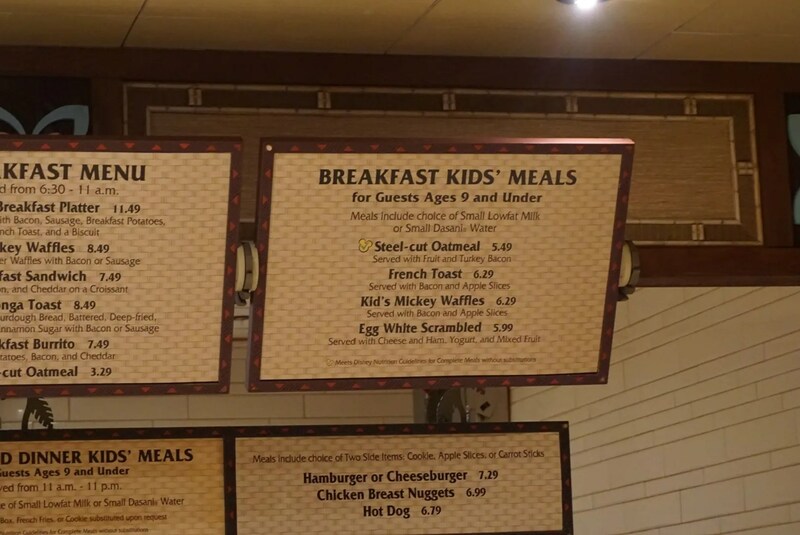 Narrowing it to only restaurants in the Disney World area, Captain Cook’s was ranked #159…not bad for a quick service restaurant!